What is the Checkbox Plugin? Since the checkbox is triggered by pushing the Add to Cart button, Facebook requires that the checkbox shows directly next to that button. This is important because if the checkbox is not conspicuously placed next to the Add to Cart button, Facebook may disable the plugin or ban your page from sending messages. So, it important to stay compliant. When you install ShopMessage, the app automatically finds the Add to Cart button on your product page and inserts the checkbox directly after. For 95% of stores, this works perfectly and is compliant with Facebook. In some cases, the automatic placement is unable to place the checkbox in the correct, visible place. This could happen if the shop has a custom user flow or has a theme or app that conflicts with the ShopMessage checkbox plugin. In these cases, it is important to place the checkbox in the correct place by inserting the ShopMessage checkbox div. 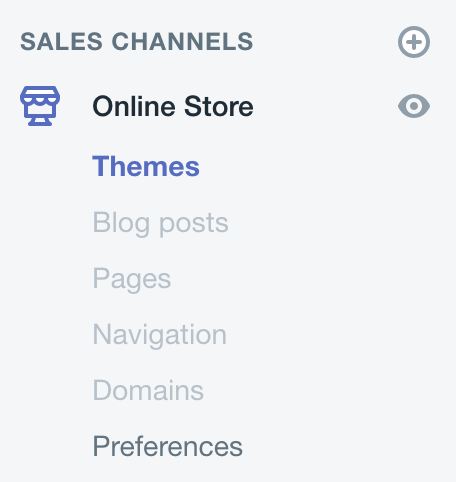 On the left panel under Sales Channels, click "Online Store" and then "Themes"
3. 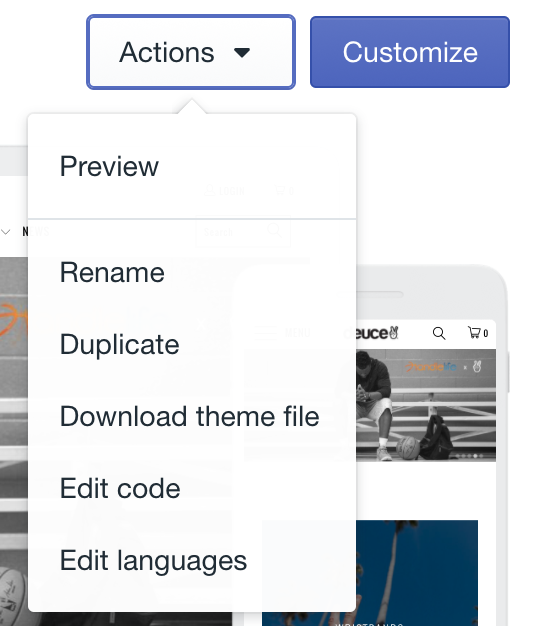 In the Current Themes section, click the "Actions" dropdown and select "Edit Code". 4. Find the liquid template for your product page, and place the following code directly underneath the "Add to Cart" button. Important: Please place it directly under the Add to Cart button. It must be above any credit card, trust badges, in-stock timers or product descriptions that are below the Add to Cart button. 5. Save the template and load a product page to confirm that the checkbox is loading directly below the "Add to Cart" button. That's it! If you have any questions at all, please don't hesitate to reach out to [email protected].